Would you like to visit the archeoParc with your school class? Our educational programs focus on the various aspects of life in the time of Ötzi. They are oriented toward the manual and cognitive capabilities of the various age groups. A fixed component of the units that normally last two hours are the experimental activities and practical work in the open-air area of the museum. Incidentally, we have been accommodating school classes since 1998. That is actually how our activity began. Would you like a special program? Other museum educational activities and expansions of the described programs (such as the fire making demonstration, baking stick bread, etc.) are possible. Go ahead and ask us! What did Ötzi and his cohorts eat? Did the grain of the first farmers look just like ours? Within the framework of an interactive tour, we discuss the eating habits of Copper Age people and consider what a Stone Age menu could have looked like. Following that, we will grind grain kernels between stones, knead a dough out of it (we won’t reveal the additional ingredients just yet), form flat loaves, and bake them in our reproduction of a Copper Age dome oven. This tour may only be booked by two groups in parallel. 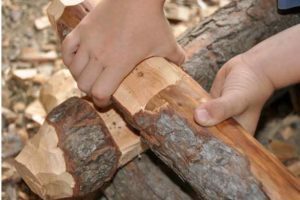 The Stone Age got its name from the tools made of hard stone that were used, among other things, for working wood and other rock. 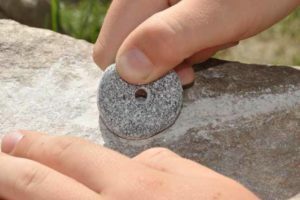 After a brief explanatory tour through our permanent exhibition, we will try grinding stone and wood and take a small disk home that we can fasten on our belt, just like Ötzi. With which plants was Ötzi familiar? 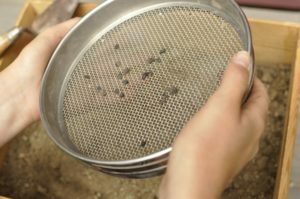 After an explanatory tour through the exhibition, we get to become researchers ourselves: in small groups, we will sift carbonized seeds and grains out of sand and soil, identify them, and consider from which eras they could have originated… From the time of Ötzi? Students can make their own “seed bomb” to take home. Ötzi’s leather and fur clothing provide us with an insight into leatherworking 5,300 years ago. But how did Ötzi tan the leather? And what is tanning, anyway? How was Ötzi capable of cutting and sewing animal skins? 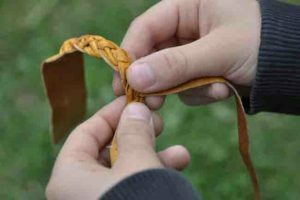 After a brief explanatory tour through the permanent exhibition and the Museum’s open-air space, we will cut red deer leather into strips with flint flakes the way Ötzi did and then tie them, weave them, or twist them into a bracelet. 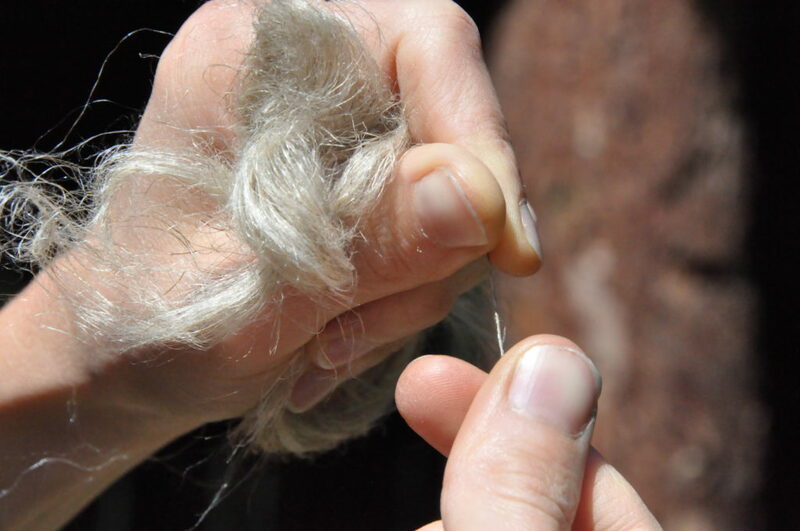 For thousands of years, people have been making thread from flax and other materials. Thread for twines, strings, and ropes. 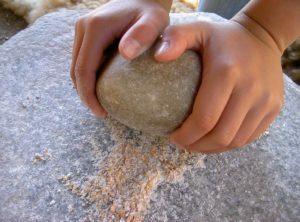 The first tools for this were so-called “hand spindles”. We build one of them and try them out to see how they are used. The children get to take the spindle and thread home with them. Ötzi made his dagger scabbard, his mat, and the inner mesh of his shoes out of woven threads. 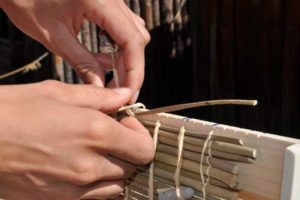 After an explanatory tour through the permanent exhibition, we will try out this technique on a simple weaving loom. The students will get to take a finished piece of the weaving work home. (s8) Ötzi carried six objects with him that were made out of flint. Where did this stone come from? What did Ötzi and his contemporaries make out of it? How did they work it? These and other questions regarding the precious toolmaking rock from the Stone Age will interest us on our visit through the permanent exhibition. Following the explanatory tour, students will try out retouching a flint flake. (s9) For a period from six to twenty-four hours, we experience how things were 5,300 years ago. Living like Ötzi. For example, we harvest wild plants together in the woods and on the meadow for our meal. 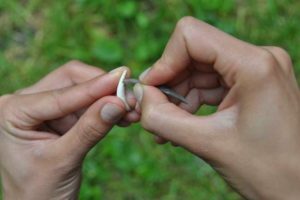 In the reconstructed Copper Age huts in the Museum’s open-air area, we set up our camp for the night, build a fire, and grind flour between stones. Baking bread in the Copper Age clay dome oven and cooking barley stew in the large clay pot might be on the program, as well as an evening campfire or firing ceramics that you have brought along in a firing pit. The program will be arranged by two museum educators from the archeoParc in agreement with the accompanying instructors. The program varies from one Adventure Day to the next. Classes, mixed groups (such as an elective course), youth groups, etc. (s10) If you are interested in visiting the archeoParc with your school class, if you would like to learn more about our communications offerings (dialogue tours, workshops, and adventure days with or without an overnight stay in the “Stone Age village”), or if you would like to work together with the archeoParc team within the framework of a school project, simply make an appointment for a preliminary visit! (s11) Practical instruction requires practical continuing education. Take advantage of the archeoParc premises and the open-air area for your continuing education or your excursion! Visiting the archeoParc with your teaching staff The premises and the open-air area may be used during and outside of the archeoParc opening hours for continuing education purposes. If desired, the archeoParc team will be happy to provide support with the organization of training sessions and team-building activities.